You might wonder why I have never been to Wild Rice. After all, the place has been around for over 10 years. It would be within the realm of possibility that I could have eaten here, especially since I've lived nearby at one point. Nope. Did not and really had no burning desire either. You see, the "Modern Chinese" part concerned me a bit. Since I am so used to eating traditional and/or Hong Kong-style Chinese cuisine, it is almost a given I would be biased even before the food hit the table. However, with my recent visits to Terracotta and Bao Bei, I have gained an appreciation that we need to accept food for w hat it is - not for what it should be. The authenticity and the question of value always come into play when we deal with a take on ethnic food. However, shouldn't we just base everything on whether the food tastes good regardless of anything else? So what if it is a bastardization of something? Or does it really matter if the staff are not of that ethnicity? If we are that picky, then we have overlooked what is most important, which is the food itself. 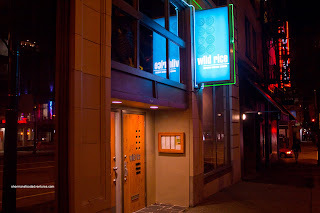 So Viv and I decided to give the Wild Rice a go with no preconceiv ed expectations nor any "Chinese" food snobbery. 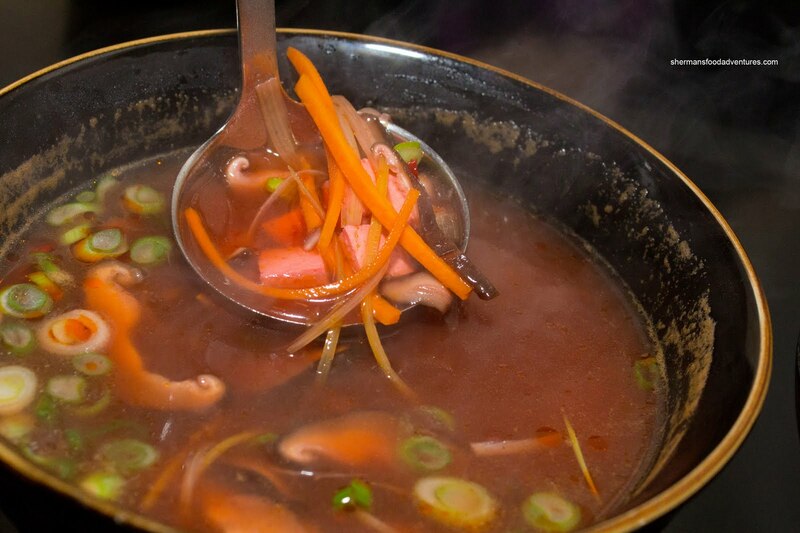 We started with the Hot and Sour Soup which was exactly as advertised. It was definitely spicy with a noticeable tang. 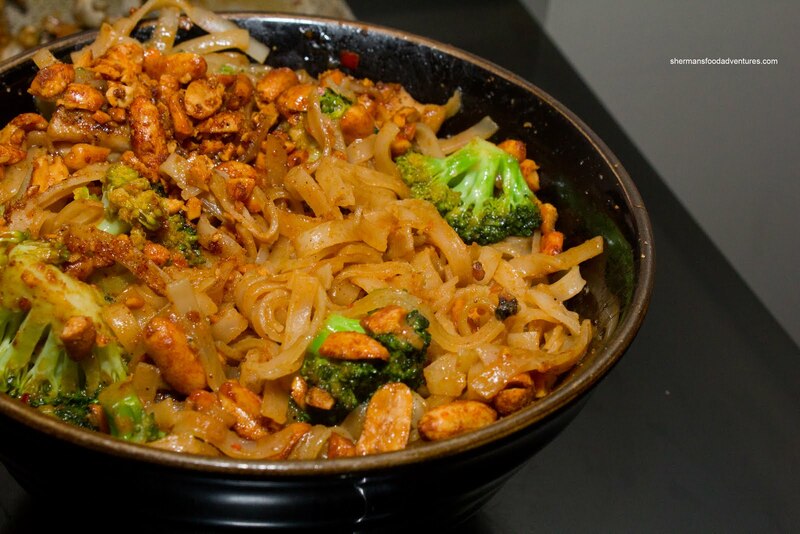 The spice was thanks to red chili peppers which had a lingering effect on our tastebuds. There was a good amount of julienned carrots and bamboo shoots with shiitake mushrooms, green onions and tofu. The soup was not starch-thickened, yet there was enough flavour to make up for any concerns about the lack of body. 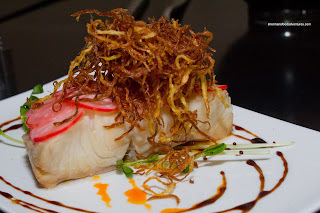 Next up was the Seared Albacore Tuna with ginger shallot daikon and a black vinegar reduction. 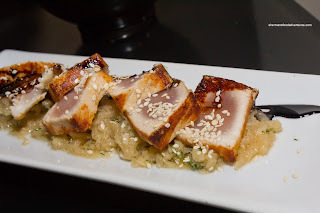 I gotta admit I liked this one, especially the shredded daikon underneath the tuna. The ginger infusion was so intense, I didn't even realize it was daikon. 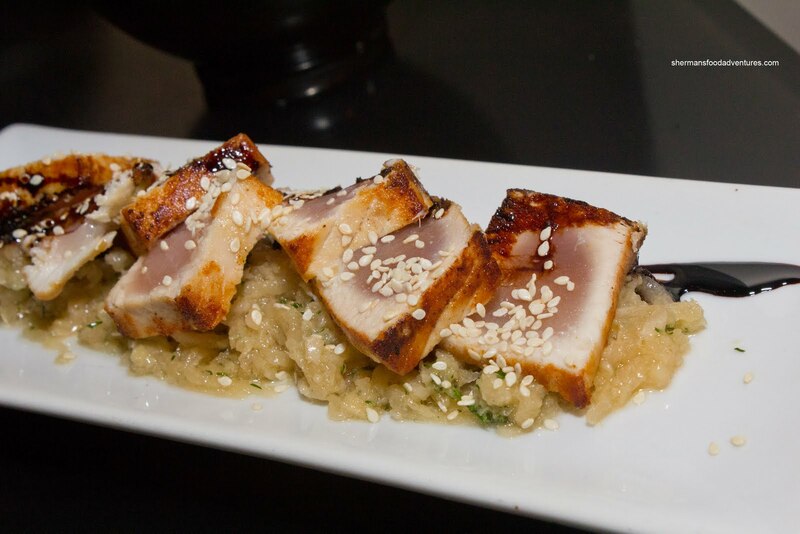 The tuna itself was seared nicely with a rare centre. I thought it went with the other components, in particular, the sweet sticky vinegar reduction. We moved onto another fish offering in the form of the Steamed Ling Cod with fried ginger, pickled radish and honey soy marinade. This was beautifully presented in which we thought the fried ginger would add texture and flavour. Well, not really. It did look nice, but it was neither that flavourful nor crunchy. The fish itself was a little overdone and became stiff. We did like the pickled radish though, it contributed a crunch and tang to every bite. 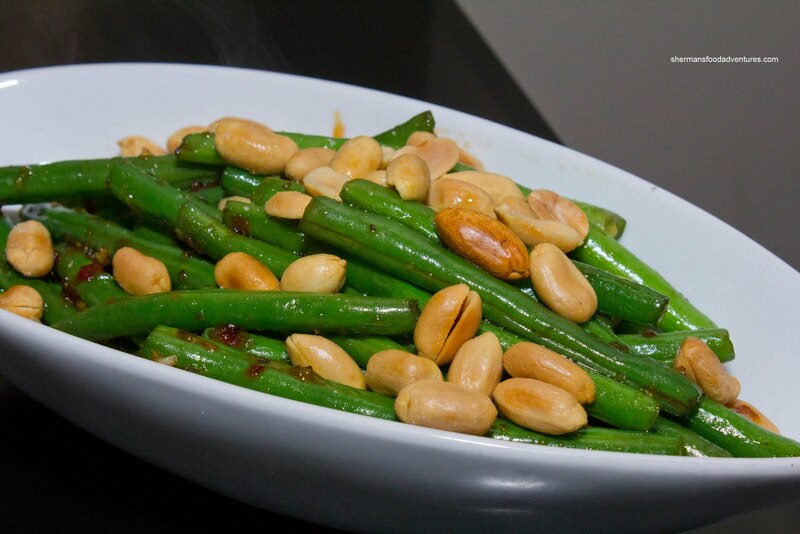 Something that could've been a great dish was the Sticky Beans with roasted peanuts. I stress the "could've" since the beans had a boiled consistency to them. I mean, they most likely were wok-fried or something, but they did not exhibit such texture. Hence, the sauce just "slid" off each bean resulting in a bland product. What we would've liked to see was oil-blanched beans that would be further wok-tossed with the sweet sticky mixture. That would've resulted in a flavour explosion, especially combined with the good roasted peanuts. On the other hand, the Sweet Soy Chicken Wings were a winner. 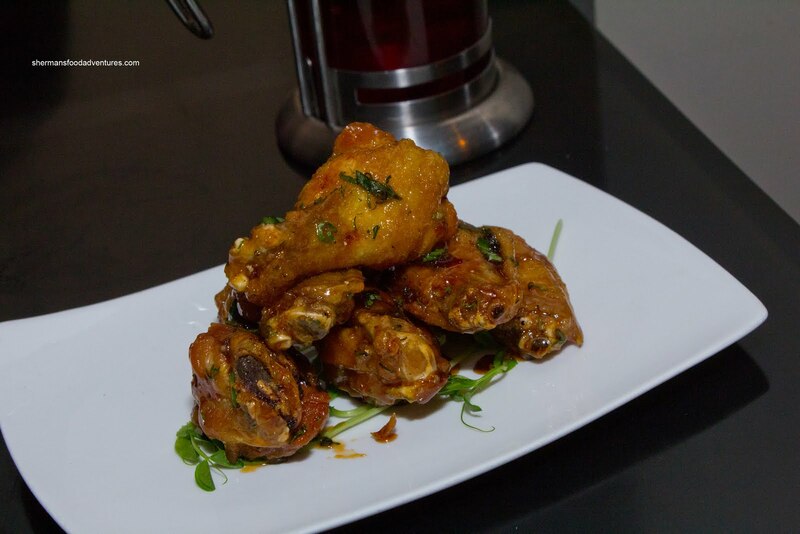 The wings were perfectly fried until crispy while the meat was moist and juicy. The sweet and sticky sauce clung onto each wing providing just enough flavour. There was a little of everything from sweet, tangy, spice and savoury. However, it was predominantly sweet though. Our last item was a large plate which was recommended as a favourite. It happened to be the Kung Pao Chicken with rice noodles and twice cooked peanuts. The peanuts, by far, were the star of the show. Fried, baked and then dusted with icing sugar, these were a treat by themselves. There was a rich roasted flavour that was accented by a sweet glaze. 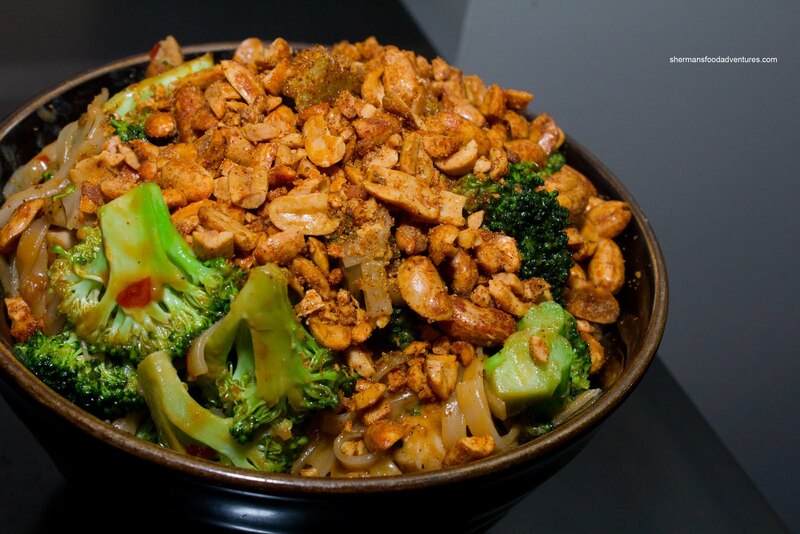 As for the noodles, the best word to describe them would be clumpy. Due to the deep serving bowl, the noodles were compressed. 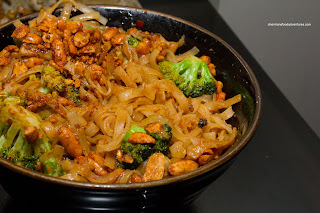 That didn't mean they were overcooked (in fact they were still chewy), yet picking them up was not easy (came out in actual clumps of noodles). This would've been much better if served on a plate. Actually, serving it on a plate would showoff the massive amount of food, rather than being hidden in a bowl. In the end, I liked the flavours (albeit sweet). There was a good coconut milk kick combined with some spice and the aforementioned peanuts. So really, to be honest, the food was better than I expected. Now, this is from the perspective of eating the food with my "Chineseness" temporarily on hold. Even with that, there were some dishes that could probably need some injection of authenticity such as the beans (I know I am contradicting myself, but it's true). - Dishes like the beans could benefit from injection of some "authenticness"
Hypothetical question: if you had $50 for dinner, would you go to Wild Rice or some Chinese restaurant for dinner? @Kim Well, honestly that would depend on my mood. As much as I love actual Chinese food and the value, there are times where I do prefer the ambiance of many of the perceived low-value restaurants. If I had to do this everyday, no I would not waste my money on non-essential things. But there are times when I do not mind paying more for the overall experience, even if the food is not a great value nor that authentic. I would say that WR fits into the Cactus Club/Earl's type pricing. Even if it's pricier and lower-value food-wise. @LR Precisely. Depends on my mood. Personally, I'd spend the money if I thought the rest of the package (not only looking at the food) was worth it in my eyes.